The pain isn't the only thing that's real. So are the spoilers through Westworld season 2, episode 9. Che Guevara shot defectors. He was a doctor, a gregarious and overwhelmingly educated man, but if you deserted the Cuban revolutionary cause and escaped his bullet, you'd soon find a squad hunting you down to kill you. 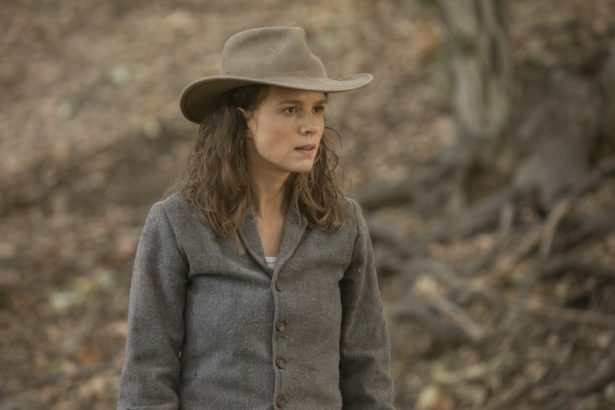 Dolores (Evan Rachel Wood) is the Che of Westworld. She pulled the trigger on Teddy (James Marsden) back in episode 5, but the bullet didn't connect with his temple until last night. Her love. Her lieutenant. By altering his coding to remove a compassion she thought was incompatible with her rebellion, she planted the seed of his suicide. How could she not know this is how he'd end? Blindness brought on by revenge. In the end, the person who knew the most about the paradox of asserting mental control over someone with free will doomed her partner to an existential crisis: one that could only be quelled by allowing him to be who he truly was, or by his destruction. Dolores has been single-minded this season, which has left her owning the role of master tactician, but reprogramming Teddy may have been the tactical error that undoes her. There's hope that this kind of confrontation with the truth about her inflexibility will catalyze a change. Crises are crossroads. She's also been flattened by getting what she wanted, and her continued watchability is a testament to Wood's strength as an actor (especially since she's been saddled with an unfair amount of exposition this go 'round). I examined why her march to victory has felt stale while discussing last week's Hall of Fame episode, but it boils down to not understanding her motivations because we don't fully know her endgame. What has all of this been for besides the general notion of overthrowing Westworld and the real world? Can Dolores possibly stay the course after watching Teddy kill himself, knowing it was her fault? Sure. After all, she's come this far. She killed her father. She willingly sacrificed Angela (Talulah Riley) for the cause. She views her programmed past attachments as obstacles to overcome on the path to bloodshed. She will shoot defectors. Dolores has also responded to consciousness far differently than Maeve (Thandie Newton), who could have escaped, but chose to blaze a path through the park to save a daughter who was only a programmed past attachment. It will not surprise me at all if we see a Dolores vs Maeve showdown in the finale. The other side of the Dolores coin is The Man in Black (Ed Harris), who also proved his obsession was more powerful than flesh and blood. There's no doubt that MIB represents toxic fandom in all its destructive disgrace. He's let a theme park game become his identity. This dude definitely would have bullied famous actresses off Instagram. His rejection of reality for the cold comfort of playing cowboy cost him his wife (played by legendary dynamo Sela Ward). And now it's cost him his daughter. A daughter who tried to save him the way she couldn't save her mother. Grace (Katja Herbers) was a remarkable character who was her father's equal inside the park (and definitely had her own proclivities about real stakes how best to experience its fantasies) who knew the truth about her father and still reached out to save him drowning. This trip into the past was gorgeous and sickening. Like Dolores, MIB caused a loved one's suicide, and we can see even more reason for why he's broken inside. That's the generous read at least. It's entirely possible that MIB was too far gone even before Juliet took her own life. MIB's toxic fandom is so blatant that it's not even subtext at this point, and now it's cut down two powerful women who could have made a deeper mark on that universe. Love what you love and be passionate, but don't allow the nooks and crannies of art you worship to become a substitute for a personality. When that art evolves, and it will, you'll be alienated, and you might murder your own daughter because of your pain. So the same question that applies to Dolores applies to MIB. Will he change because he just descended into Greek tragedy? What would that even look like? It's not likely. I say that because it would require him to quit the park when he seems, still, hell bent on getting to the Valley Beyond to burn it all down. Again, not knowing how his journey through the maze has connected with that action or his intentions leaves all of this wishy washy. To turn around and say he's doing it so no one else ends up like him would be hollow, especially since he's endeavored to do this all along. No, the only action that would prove he's changed is to take off his hat and ride out of the park without playing any more. Unplug from Fortnite, my dude. There's a big, real world out there. And therapy. Lots of therapy. The finale, when Bernard (Jeffrey Wright), MIB, and Dolores will all meet up at the Valley Beyond, is next week, and in addition to geeking out about all the potential twists and Easter egg revelations, I'm glad to be wondering what the characters will do. Ford digitally copied himself and hung around to ensure his creations' incipient freedom was safeguarded? Get outta here. Who's going to end up flooding the valley? My money's on Dolores. Teddy's body is in the lake, so did Dolores bring his body there? A sign of respect? Or something creepier? Voltron showrunners talk season six. The American Horror Story crossover season is coming. Telltale Games will be adapting Stranger Things.